. . . so the next time we are going to make sure the party is NOT next door to the local law enforcement. Most of the crew will be out on bail by tomorrow. He laughed and told be he had to get into 50 fights in that month, if he could do that then he stood to win 50 million. “But on a good roam can’t you find more than a couple of fights?” I ask. He laughed and nodded and said ‘that was the point’. Then he went back to outlining what he wanted set for the basic fit as well as a few special ships for his off days. It’s nice to have the Boss back again but I get the feeling November is gonna be a loooong month. Give my love to the rest of the clan. Jiorj is back with OUCH, for those of you who do not know, OUCH is the University of Hard Knocks and it trains folks in lowsec. Lowsec has been getting a lot of attention from the playerbase, Mynxee and her initiative, Lost in Eve’s podcast (great job guys). Escoce with his NEW forums specifically for Lowsec Almost everybody except CCP themselves . . . oh well. Before you ask, yes, there IS time for you to get in on this. Apply to OUCH and see what you can do. Read his rational behind this and stop and think about it. ARE you your ship? Or are you an intelligence using a tool? IS the loss of a ship a major thing that makes you want to emo rage quit? Why? Were you this way when you lost a game of Risk or Monopoly as a child? Come on, join us, or if you do not want to leave your corp to do so, join in the count. make November a month to remember 30 days, 50 fights, 1 great game. 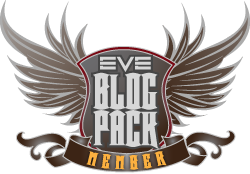 This entry was posted in Uncategorized and tagged eve online, In character, jiorj, Lessons, OUCH. Bookmark the permalink. 1 Response to Counting to 50, be patient.